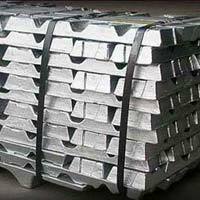 Simportex Ltd (Company registration No.826063) is a reputable name for procuring a range of top quality of Non Ferrous Metals. The assortment of Non Ferrous Metals Supplied by the company comprises of Steel & Iron Ore & Others, Metals and Alloys, Ores & Others, and Scrap Metal. Having extensive knowledge about the industry the company supplies the best array of Non Ferrous Metals to various parts of India. The firm assures that the Industrial Products it supplies reach the customers within the prearranged duration in tamper proof packing.